Holy smokes. Where do we even begin with this year’s Eisner Award winners? Team Lumberjanes (Shannon Watters, Grace Ellis, Noelle Stevenson, and Brooke A. Allen) took home two major awards: Best New Series (!!!) and Best Publication for Teens (ages 13-17). It’s so, so great to see them get the recognition that they so totally deserve with this awesome comic. Emily Carroll also took home two awards: one for “When the Darkness Presses” (readable online), which took home Best Short Story, and another for Through the Woods, this year’s Best Graphic Album (Reprint). The Best Continuing Series category was packed with some amazing titles, including Hawkeye, Bandette, Southern Bastards, Astro City, and The Walking Dead. Ultimately, Saga came away with the award, leaving everyone to wonder when that particular juggernaut is going to come to a halt. Additionally, Fiona Staples took home the award for Best Penciller/Inker. Judging by these alone, it’s been a pretty big year for women in comics. 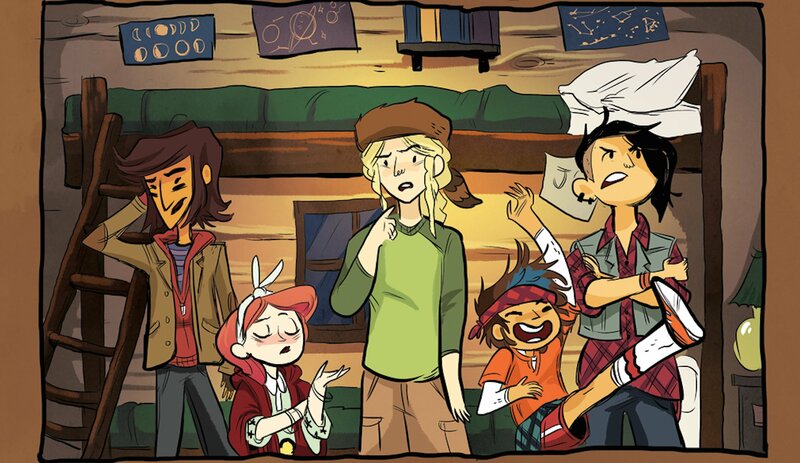 And really, we can’t be more excited for Team Lumberjanes. Check out the full listing of winners over at ComicsAlliance.com (who also took home the award for Best Comics-Related Periodical/Journalism!). How do you feel about all these winners, folks?